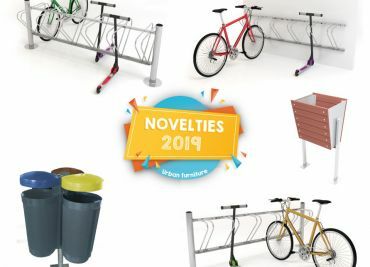 We start into the new year with many new products: new playground equipment, new urban furniture and, of course, we also continue with the best calisthenics sport equipment for outdoors, ensuring always high functionality, aesthetics, quality and durability. We would like to present you Monster collection’s new figure ROCKY. Actually, the monster Rocky swings by any means: on a swing with very stable flat rubber seats, with an inclusive swing’s seat, with a special baby seat, with swing’s seat Koala or on a swing with nest seat. 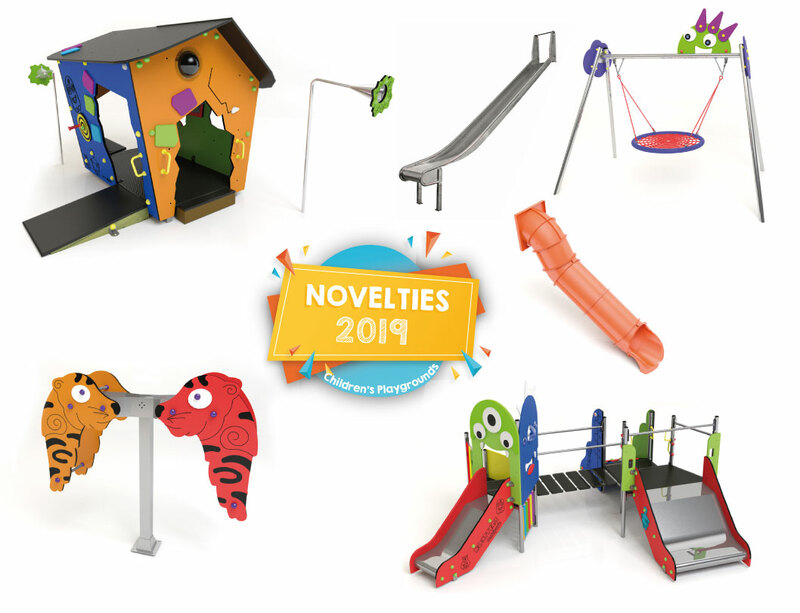 In 2019 we continue our engagement creating inclusive playground equipment: We want that all children irrespective of the capabilities of each one can play on our playgrounds! 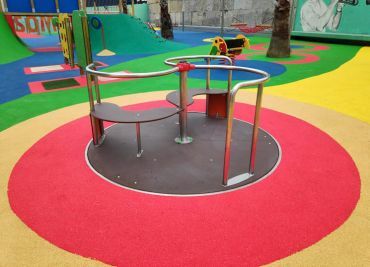 That’s why we created for the Monsters playground combinations a transition platform where children with wheelchairs may transfer from their wheelchair to the play structure. This transfer point isn’t enclosed by panels in order to ensure an easy access to the play combination. It’s equipped with diverse handles and protection bars in order to facilitate a lot of possibilities to hold on. The extra wide slide allows children with reduced mobility to slide down together with somebody else. All play structures of the Monster collection dispose of extensive sensory stimulation. The best way to play! The animals of Zoopark playground collection welcome their new teammates! The Tigers are a seesaw for two children which can be used standing upright. It brings a lot of fun to the playground, even to 12-14-year-olds! Custom-made project that include an embankment slide for the playground are more and more common. 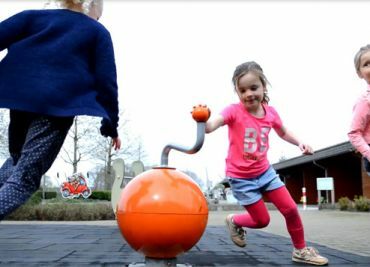 This new playground equipment is conceived to be installed without any further play structure directly on a hillside or an embankment. Mobipark offers you an extensive range of embankment slides in stainless steel, avaiblabe in 2 different widths and 4 different lengths, and also embankment slides in polyethylene whose dimensions are adapted to the special requirements of your location. Contact and choose the best model for your area! Soon you’ll be able to find out more of our new playground equipment!